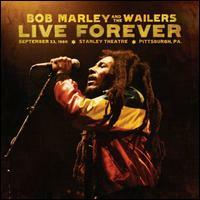 The aptly titled Live Forever, a newly released concert set by Bob Marley and the Wailers, doesn't sound anything like a man just moments away from the end. Instead, it underscores the indominable spirit of the singer and his song. Marley had collapsed while jogging in New York just two days before, on Sept. 21, 1980, but appeared for this sold-out date at the Stanley Theatre in Pittsburgh, Penn., anyway. Though it would become Marley's last concert before cancer felled him in 1981, the album crackles with fiercely independent lyrics, snarling guitars and these trace-inducing, simply unassailable grooves. You don't hear what you think you'd hear: Fear. Marley, after the fainting spell, must have had a white-knuckle grasp on what was welling up inside. Yet, he remained, until the end, this blinding beacon of hope. He rose to sing, again, about how a partnership of human kindness could end the scourges of war, of poverty, of famine. He framed the issue of human rights on scales both large and small, reminding us once more that simple gestures sometimes meant the most. Marley arrived in Pennsylvania on a roll. There's been a successful European tour in support of his then-new recording Uprising, and a pair of sold-out events at Madison Square Garden. In the midst of celebrating an independent Zimbabwe, he was already being called a freedom fighter in some circles. But this night ends up feeling more personal. What the Pittsburgh concert illustrates, perhaps more than any other, was that Marley hadn't been singing empty bromides on that rocket-ride to fame. Meanwhile, the Wailers, whether they knew just what was happening in front of them or not, play with a indefatigable passion in support of Marleystarting with the funky Carlton Carlie" Barrett and Aston Family Man" Barrett on drums and bass. The harder-edged skanky guitar work by Marley, Junior Marvin and Al Anderson also points to where reggae would go in the 1980s. Rounding out the group were Earl Lindo and Tyrone Downie on keyboards, Alvin Patterson on percussion, and the legendary I Threes background singersJudy Mowatt, Rita Marley, and Marcia Griffiths. 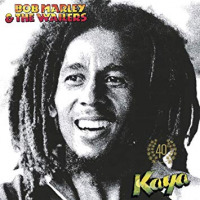 Issued last month as a 2CD/3LP/digital collection on UMe/Tuff Gong, Live Forever collects many of Marley's more well-known songs, including No Woman No Cry," Jammin,'" Is This Love" and Get Up Stand Up." It's not definitivefor that, you'll need to borrow your dad's old copy of 1975's Live!and there are some audio problems toward the end. 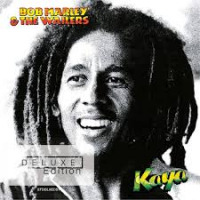 Apparently, the soundboard reel-to-reel ran out as the Wailers concluded with Work" and Get Up," and a lesser-quality tape was used to complete the release. Still, there is no denying the emotional punch packed by this new recording, in particular as the concert concludes, when we find Marleyin his final moments before his fanspoignantly urging them, again and again: Don't give up the fight." Live Forever ends up as an important historical document, a transcendent dance record and a final testament, for a new generation, to Marley as progressive spiritualist, peace purveyor and cool-rocking eternal optimist. He would have been 66 in February.